T.R.U.E. Outdoors Free Gear Fridays! Here is another post about one of the great hunting teams that Game Glide supports and sponsors, Accept The Challenge TV. Accept The Challenge TV returns for a new season. We have some incredible over the shoulder in your face action for deer, turkey, hogs, Red Stag and much more… Champion Turkey caller Joe Drake joins us this year for what is sure to be our best season ever. Scott Carroll and Brad Frost will take you from Africa to Wyoming in pursuit of some of the world’s finest animals. Growing up camping and fishing most of the spring and summer months with his family, Scott’s love for the outdoors started at a very young age. 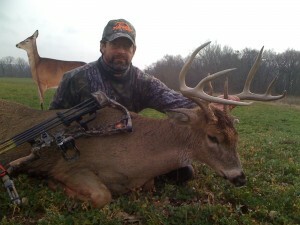 His passion for the sport increased through squirrel hunting trips with his Granddad, Dad and younger brother. At the age of 12, Scott’s Dad watched as Scott took his first deer and his passion soon became an obsession. 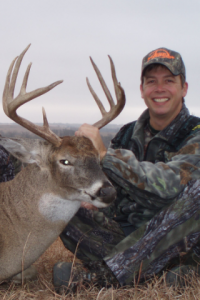 Brad Frost grew up amidst a family that has a passion for the sport of hunting. Following in the footsteps of both his father and grandfather, Brad naturally became a hunting enthusiast. As his devotion to hunting increased, Brad began to study different animal species, including elk, mule deer, whitetail deer, hog, turkey, antelope, and many other non-game species. After spending many years traveling across the U.S. to hunt various species of game, Brad began to explore new territory by traveling to Africa to pursue his hunting dreams.